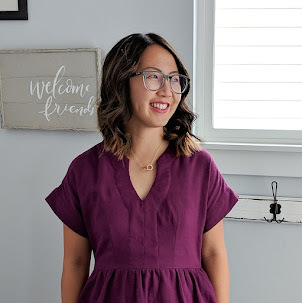 I went on a crazy crafting frenzy this year and this was one of the easiest projects ever! It can be time consuming if you're doing a larger wreath, but there's really no way this can turn out bad. 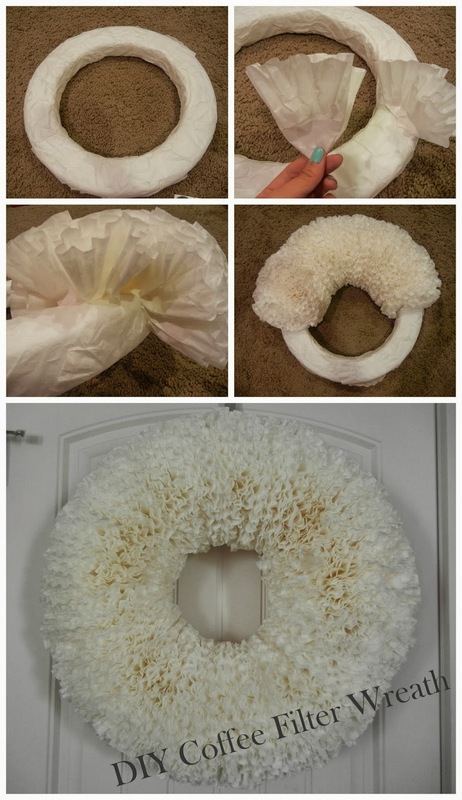 If you didn't notice, DIY wreaths are very in right now and one of the most popular ones is the coffee filter wreath. There are many different versions out there, but this is your basic wreath that you can choose to embellish as you wish. First off, you'll want to cover your wreath with the coffee filters to get a nice looking base. Use your hot glue sparingly since the filters are very thin and you can burn yourself easily. When you're done, you're ready to start on the actual fluffs of the wreath. To do so, you'll fold each filter into fourths and glue them to the base. Layer it as you go and be sure to apply the filters consistently throughout so you'll get an even look. They don't need to be right on top of each other as it'll fill out as you go, but be careful of any gaping holes. Also don't forget that you want the back uncovered so it can lay flat. Repeat until you're back where you started and then you're done! With my wreath, it was square-ish so I covered three of the four sides around so that the back would lay flat against surfaces. To put it on a door in my house, I just used a wreath hanger. Keep in mind that this is not water proof so it wouldn't be the best for wet climates outdoors. If you want to spruce up your wreath, you can try adding color by dying the filters before beginning, spray painting when you're done, or adding other fun embellishments like banners and signs on top. Originally, I was planning on adding a pendant banner to this wreath that coordinated with the seasons/holidays so it would allow me keep the wreath and just switch out the banners, but I haven't gotten around to it yet. If you've made your own, I'd love to see how it turned out!